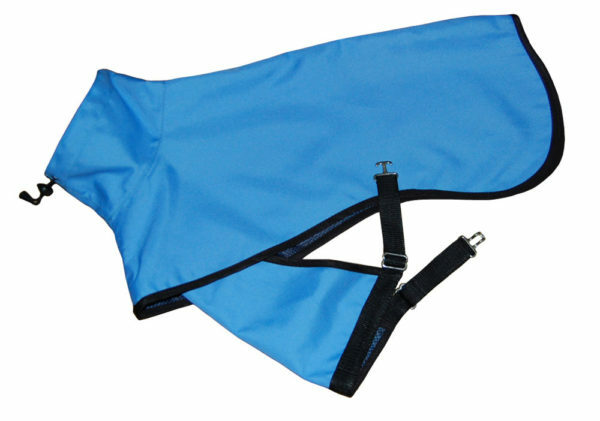 Lightweight Dog Raincoat, covers neck to tail & belly in wet weather. 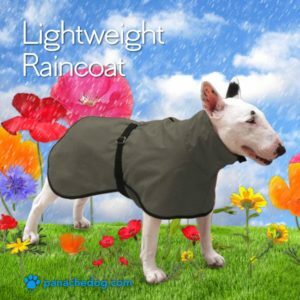 Made of a soft, supple, lightweight, and washable fabric, this coat is fully lined with a breathable mesh fabric. Our coat features the same classic styling and attention to detail as all Panache coats. 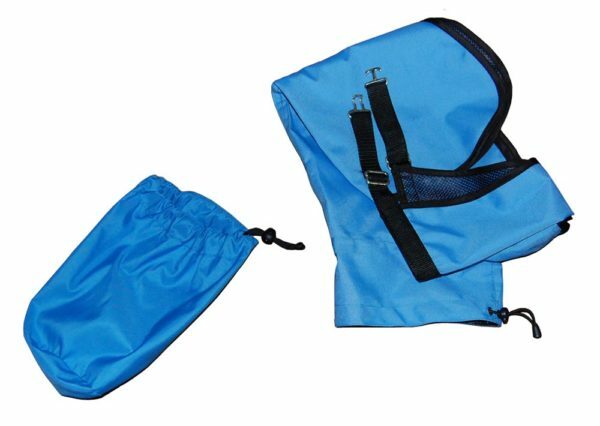 Designed for ultimate protection, this coat will keep your dog dry from top to tail, and comes in 3 color choices. Hot pink with black trim, Turquoise with black trim, Olive green with black trim. Each coat comes with its own free drawstring bag, made out of the same fabric as our coats. 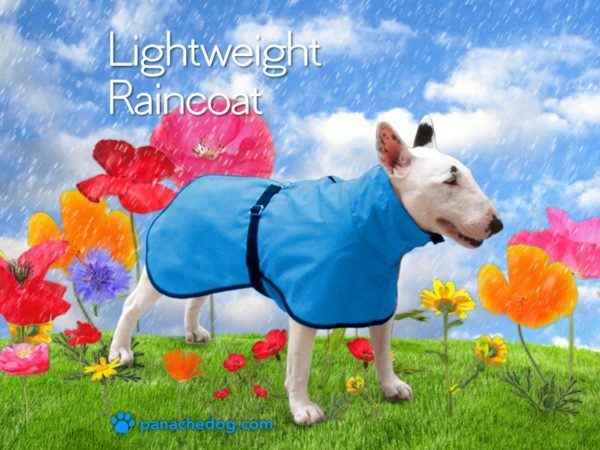 Please note that this coat is designed to keep your dog dry with short walks, in extreme rain due to the light weight and soft fabric it will not stay dry under long periods of time ( 30 minutes or more in extreme heavy rain ). Our Lightweight raincoat has a leash hole, and stainless steel hardware for the belt. Our coat comes in a large variety of sizes, to fit from a small 15 lb dog up to and over 100 lbs plus! The topline is the only measurement you will need. To get the best fit, please measure your dog from the neck, A (where collar would lie) to top of tail, B (the “Topline”). Please refer to the measurement chart. 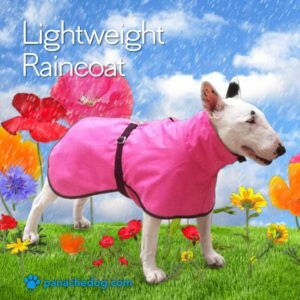 Pink raincoat has black belt and black trim. This coat is fully lined with a breathable mesh fabric.